IKEA is going all-in for a more sustainable future. 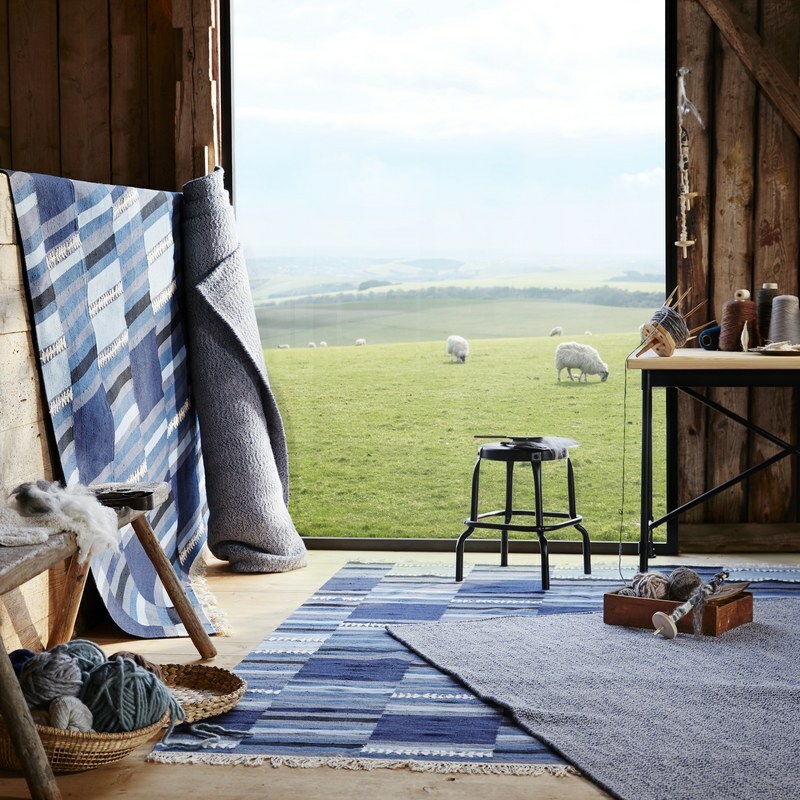 Their entire lighting range to energy-efficient LED to sourcing all of the cottons they use in their products from more sustainable sources. IKEA is also working towards 100% renewable energy - producing as much as they consume in their operations. They are also sourcing all of their wood from more sustainable sources by 2020. The IKEA Group and IKEA Foundation have made new commitments that add up to $1 billion for climate action. 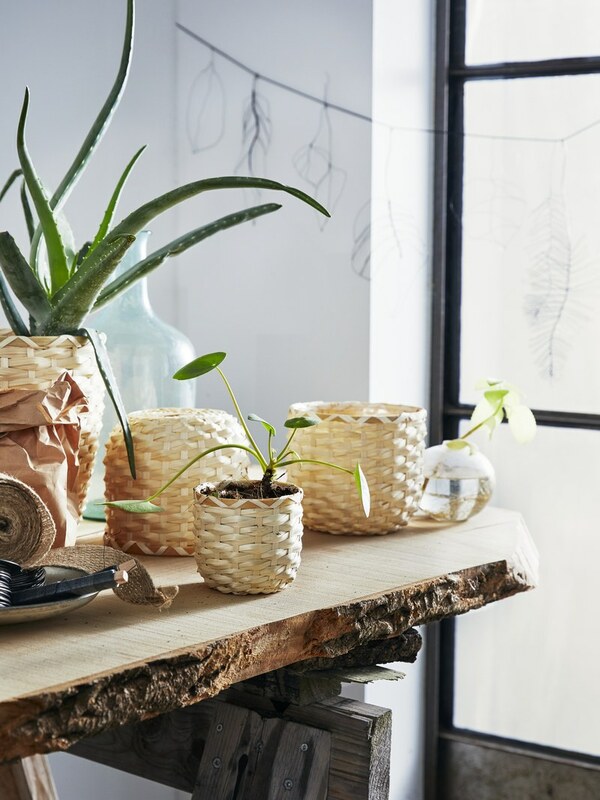 It may be possible now to lock out those harsh city vibes with natural materials and earthy, muted tones, and you'll be able to create your very own eco-conscious safe haven. Doesn’t sound too bad to us. Keep reading to see the collection! 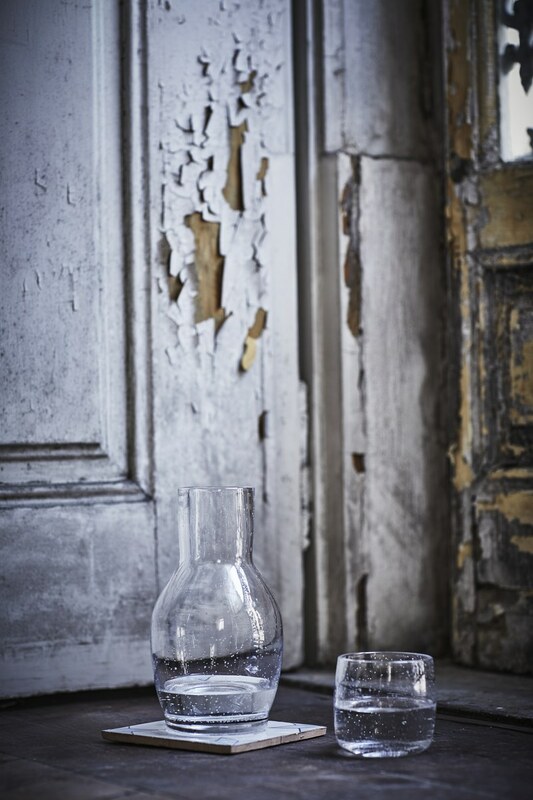 SHOP NOW: TÄNKVÄRD Carafe with glass $8.99 Each carafe is mouth blown by a skilled craftsman. An eco-friendly collection that stands out and is affordable? Sounds right on point to us. Being able to create a newfound sense of tranquility in your home, large or small, can only add to its value and your state of peace. Of course these images set the stage but the great part is - it can help with some home styling inspiration. Having some earth elements in your home creates balance and serenity, what do you think?